Novella set in Osten Ard, written by Tad Williams and published in 1998. Good news for readers of Tad Williams’ books in Europe! Following last year’s press releases that DAW Books in the US and Hodder and Stoughton in the UK will publish “The Last King of Osten Ard” is news this month that the as-yet unpublished book will be translated into German and Dutch for overseas readers. Dutch publisher Luitingh has acquired the publishing rights to the new series in the Netherlands. Luitingh has previous translated Williams’ four-volume “Shadowmarch” series as well as the single-volume entry, The War of the Flowers. 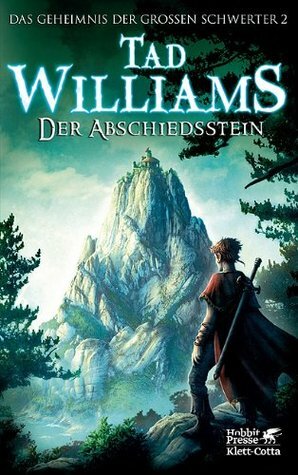 In Germany, a major market for Williams’ books, Klett-Cotta has acquired the rights to publication in Germany, according to PublishersMarketplace.com (registration required). Klett-Cotta has previously published translations of most of Williams’ books, including “Shadowmarch”, a four-volume edition of “Das Geheimnis der Großen Schwerter” (“Memory, Sorrow and Thorn”), Traumjäger und Goldpfote (Tailchaser’s Song), the “Tinkerfarm” books (“Ordinary Farm”), Der Blumenkrieg (The War of the Flowers), “Otherland” and Der brennende Mann (The Burning Man). The Witchwood Crown, the first volume of Williams’s upcoming “The Last King of Osten Ard” trilogy, is expected in the US and the UK in Spring 2016. Foreign-language editions will be published sometime afterwards. The Witchwood Crown will be followed by Empire of Grass and The Navigator’s Children.